Tomorrow’s wars will be fought with a lethal combination of soldiers, drones, and AI-powered systems. The Internet of Battle Things, as it’s being called, is a vast battlefield network of machines and humans — and the US Army is working to make it a reality. Most of such intelligent things will not be too dissimilar from the systems we see on today’s battlefield, such as unattended ground sensors, guided missiles (especially the fire-and-forget variety) and of course the unmanned aerial systems (UAVs). They will likely include physical robots ranging from very small size (such as an insect-scale mobile sensors) to large vehicle that can carry troops and supplies. Some will fly, others will crawl or walk or ride. In addition to physical intelligent things, the battlefield – or at least the cyber domain of the battlefield — will be populated with disembodied, cyber robots. These will reside within various computers and networks, and will move and acts in the cyberspace. Today’s best AI, the likes of Google’s DeepMind and IBM’s Watson, are just barely capable of performing high-function image processing. 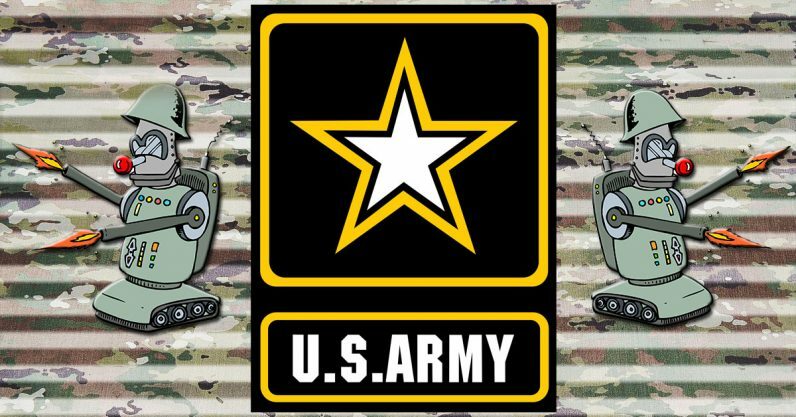 The Army is looking for advances in technology that, currently speaking, seem pretty far away. The intelligent things will have to constantly think about an intelligent adversary that strategizes to deceive and defeat them. Without this adversarial intelligence, the battle things will not survive long enough to be useful. Unfortunately, robots have a tendency to be pretty clumsy, though developers are quickly overcoming that particular problem. Clearly, it is far beyond the current state of AI to operate intelligently in such an environments and with such demands. In particular, Machine Learning – an area that has seen a dramatic progress in the last decade – must experience major advances in order to become relevant to the real battlefield. Armies of killer robots may one day descend upon entire cities like human-seeking locusts made of silicon and metal, but we’re not quite there yet according to the US Army.